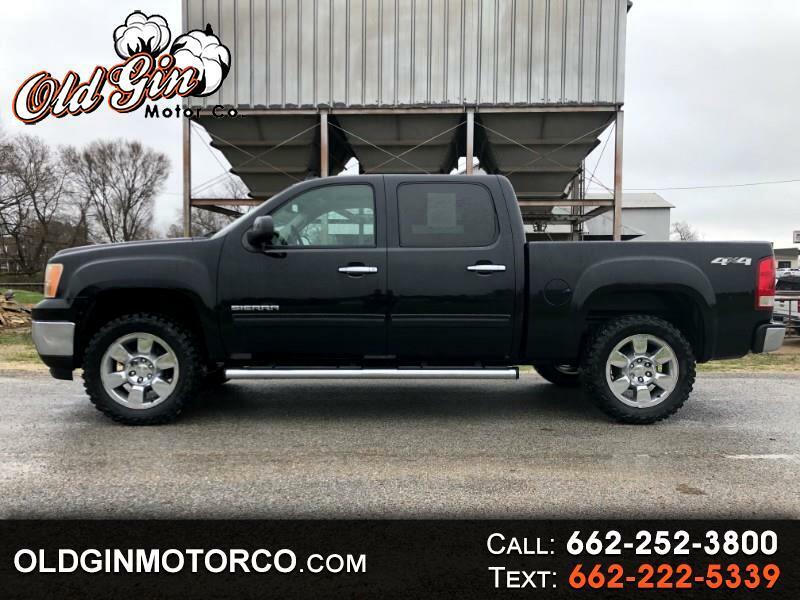 **1 Year/ 15K Mile Engine Warranty included** 2011 GMC Sierra SLT 4x4! Options include 5.3L V8, tan leather interior, heated seats, sunroof, back-up camera, bluetooth, leveling kit, new 33'' Mastercraft MXT tires, 20'' wheels, and towing package! 1-owner, Clean Carfax!